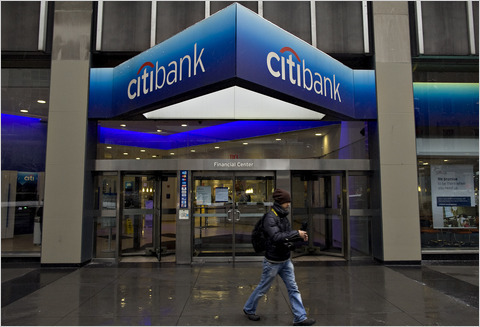 This is the first of a three part series looking at Citi and Chase checking accounts. The first part is a review of Citi checking, the second part will be a review of Chase Checking and the third part will be comparison of both. On to the Citi review! Although I do most of my banking online with Ally, I still find it necessary to have an account with at least one brick and mortar bank. My local bank came in handy when I needed a cashier’s check to close on my last property but other than that I haven’t been in there in a while. Now that almost all online banks offer mobile check deposit and free ATM withdrawals there’s really no need to step into a bank. But since it’s so easy to meet the required minimums for a basic checking account at a brick and mortar bank I figure it can’t hurt to go with two checking accounts: one online and one brick and mortar. There are a lot of choices out there when it comes to brick and mortar checking accounts but in my mind, Citi and Chase are the two biggest companies when it comes to local banking. Their branches are ubiquitous and they also offer a whole suite of products so you might already use one of their other products. I have a few Chase credit cards and I have my mortgage with Citi so I thought it would be fun to test out both companies and see which checking account I preferred. This review isn’t so much a review of Citi’s actual checking and banking services but more of an inside look into how the sign-up process works, how to get a decent sign-up bonus and how to get the monthly bonus points for maintaining certain services. Like I said earlier, I do most of my banking online and I would never recommend using any brick and mortar bank for your primary banking needs. They are just too laden with BS fees, horrible customer service and low interest rates for my tastes. 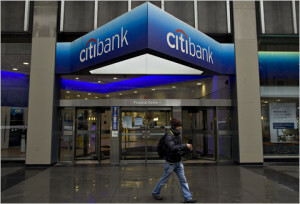 Obviously looking at the three, gold is the best but what’s up with the name ‘Citibank Account Package’? That seems very nondescript to me and it was just kind of a hassle to call it that. I had a couple online and phone chats with Citi CS reps and it was really confusing getting things straight since even they didn’t know which product they were referring to at times. Citibank Account Package – Monthly fee is waived if you maintain a combined average monthly balance of $15,000 in eligible linked products including deposits, loans, mortgages, credit cards, retirement and investment accounts. Basic Banking Package – Monthly fee is waived if you maintain a combined average monthly balance of $1,500 in your basic checking or linked basic savings account OR if you make 1 direct deposit and 1 bill payment each month. It’s pretty hard to avoid fees with the gold package since Citi doesn’t offer much on the retirement side, but the Citibank Account Package was perfect for me since I have my $200,000 mortgage with them. As long as I keep my mortgage with them, I’ll be able to score their mid level package for free. For most of you though, the basic banking package will probably make the most sense. I think the easiest way to get that account for free is to just keep $1,500 in it at all times but if that isn’t doable the second option might be easier than you think. The reason why is that most banks count external transfers from other banks as direct deposits. So in this case, you could just set up a push transfer from your online bank(Ally in my case) to your Citi account every month for the amount of $10 and you would qualify for the direct deposit requirement. Nearly all banks will work though using this method as seen here in this forum, not just Ally bank. The banks that seem to have the most success with their outgoing transfers being qualified as direct deposits by other banks are Paypal, ING, Ally, Alliant, Union Bank, etc. Meeting the bill pay requirement is pretty easy since you can just pay any of your bills with their service. If you have a Citi credit card like me, I set up a monthly bill payment of $10 to my card and then use autopay from my Ally bank account to cover the rest. Works like a charm. 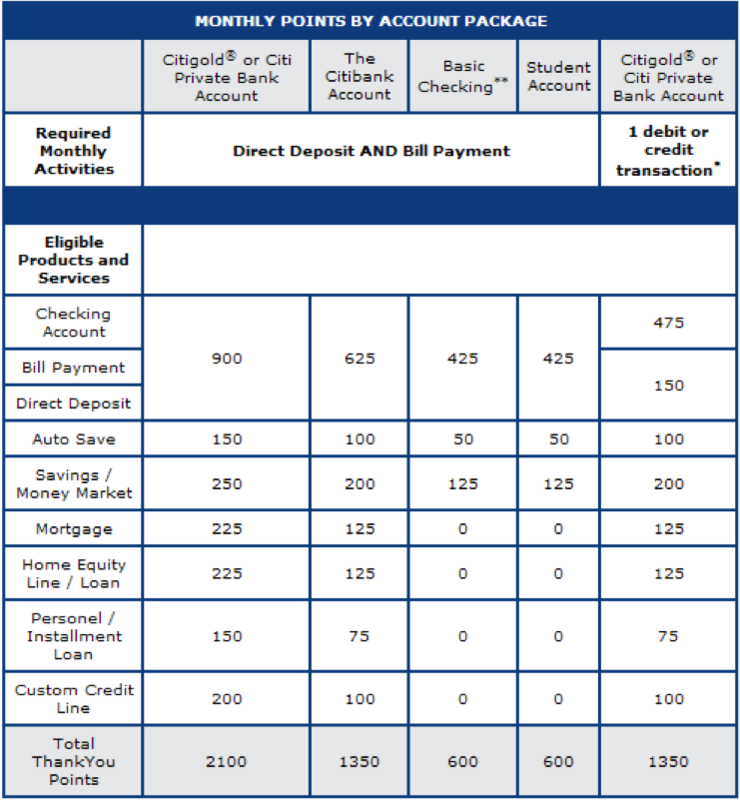 Although the sign up offers for Citi’s checking accounts are constantly changing, they are generally in the neighborhood of 40,000/20,000/10,000 points depending on which account you go for. Their latest sign up promotion just ended on 7/31/13 so I’d hold out for a few weeks until they come up with a new one and sign up then. You can generally redeem 10,000 Thank You Points for $100 in gift cards. Since I signed up for the Citibank Account Package(see how confusing that name is), I received 20,000 points after completing the program’s terms. Remember, the direct deposit and bill payment above are only to avoid monthly fees. In order to get the sign up bonus, I had to complete 1 direct deposit and 1 qualifying bill payment from my new checking account for two consecutive months. Since I knew about the transfer/direct deposit loophole though, it was pretty easy to meet this requirement. I signed up for the account on 4/1/13, made my first bill payment/direct deposit a few days later and completed the offer’s terms on 5/7/13 with my second direct deposit and bill payment. On 7/24/13 I received my 20,000 bonus points. The one unique feature about Citi is that they offer monthly Thank You Points for completing certain actions. So just for opening up a basic checking account and setting up a bill payment and direct deposit you get 475 points a month. You can also add on a savings account very easily and set up auto save(transfer $10 from checking to savings once a month) to get you another 175 points for a total of 650 a month. 650 points isn’t a ton of points but it’s not bad for doing basically nothing. At the end of 1 year, you’d have 8,100 points which is good for just over $80 in gift certificates. Since I have the Citibank Account package, I get 625 for checking, bill payment and direct deposit, 100 for auto save, 200 for savings and 125 for my mortgage for a grand total of drumroll please…1050 points per month! Add that to the 20,000 points I got for signing up and after one year my total will be 32,600 points or $326 in gift cards. The only downside with these checking account bonuses is that you will most likely be issued a 1099 for them. Unlike credit card bonuses, which are tax free, there is some distinction made by Citi internally that causes them to give out 1099’s for their checking account bonuses. So although you’re still getting free money, it’s not quite as much as you might think. I confirmed with CS reps that there is no credit check for opening a checking account or a savings account and nothing showed up on my free monitoring services so looks like they were right. Readers, have you thought about signing up for a Citi Checking account? Stay tuned for my review of the Chase Checking account next! Because I don’t have a mortgage with Citibank, I only have a Basic package. I use it for the same purpose: access to branch service in case I need it. With the automatic deposit and bill payment, the account is free with very little money in it. The 600 points I get every month make it better-than-free checking. Yea the monthly points are awesome, I’m getting 1,050 points a month for just an external transfer and a bill pay to my citi credit card. You were the one who inspired this article so thanks for the points btw! Had to wait 4 months before the points posted though haha. Hey Harry – this is great info! I have been considering one of these types of packages myself, though I’m not sure if I’ll go with Citi or Chase or Bank of America. Are you going to do a review of Bank of America as well? Or even Capital One? I’d be interested to hear your thoughts on either of those two also. Thanks for these reviews! I’m looking forward to the third installment! Hi Jackie, thanks! I don’t have a review planned for B of A since they do a credit pull for opening a checking account. If you’re looking for a primary banking option, Capital One is a great option. I would only use a brick and mortar bank(like Chase, Citi or B of A) as a secondary option though since they charge so many fees and their rates are so pitiful. I really only signed up with Citi/Chase so I would get the sign up bonuses hehe and so that I could do the reviews for my site. I haven’t set foot in an actual bank in years.